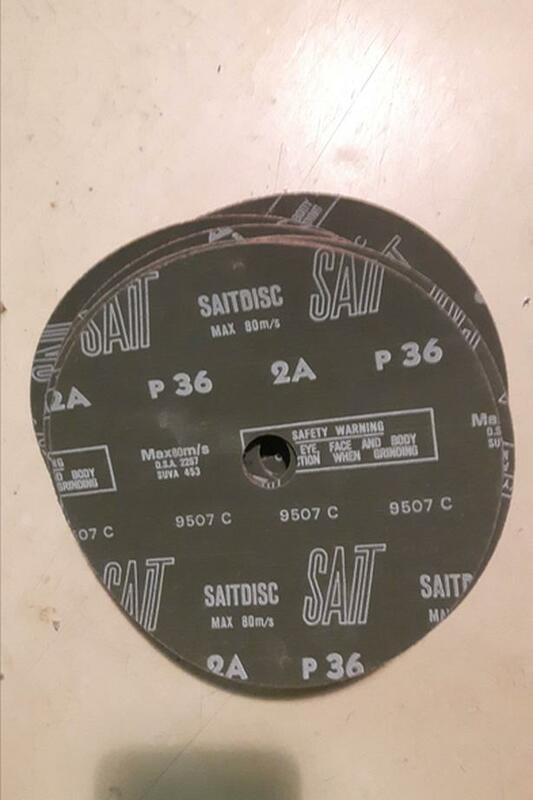 12 only, Sait 7 inch diameter sanding pads. Coarse grit -- p36. Fits 9" grinder with rubber pad. good for concrete or?